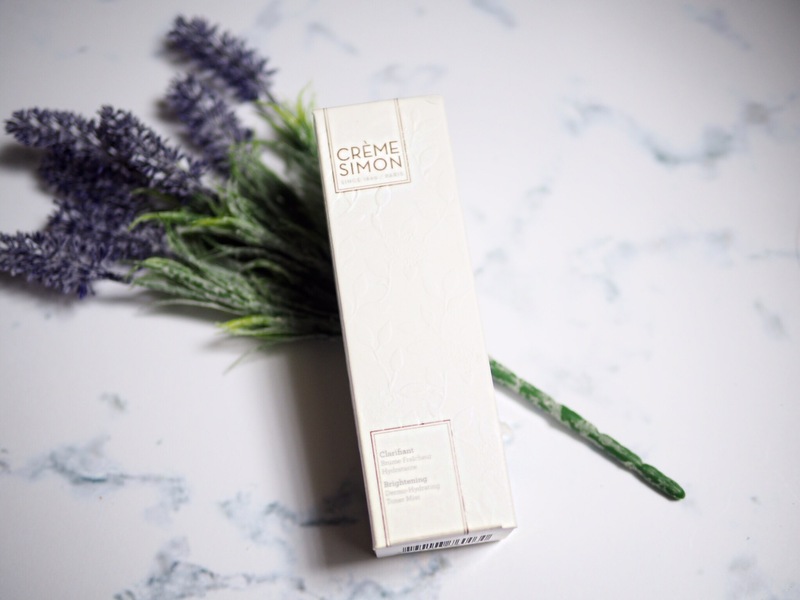 Crème Simon is France heritage natural skincare products founded by Joseph Simon in 1860. It’s one of the largest skincare brands in France and also the first stable beauty cream created. Joseph Simon is a gifted young apothecary in Paris, on his experimental journey he made a beautiful discovery. He created the first stable cream, the woman were amazed. And Crème Simon was born. 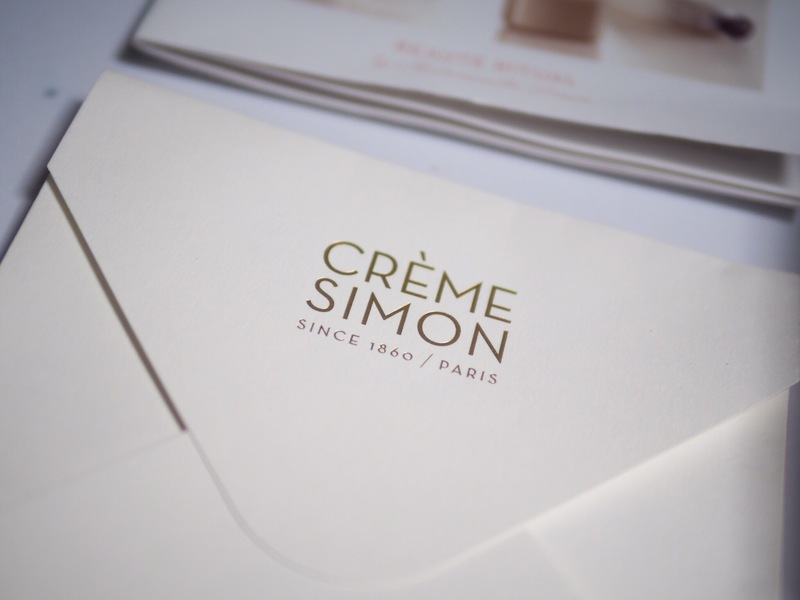 Celebrated by film stars, actress from mother to daughter, Crème Simon become the largest skincare brand in France. 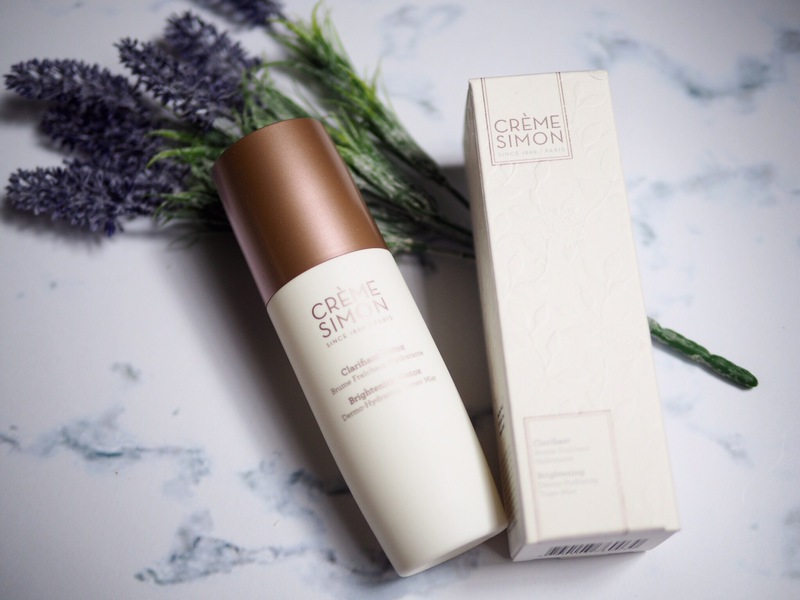 Crème Simon began with one stable cream and now they have so many variety product such as Creme Universelle (The Legendary one), moisturizer, scrub, toner mist, eye cream, cleanser, mask and many more. Which I want to discuss right now is about their Brightening Detox Dermo Hydrating Toner Mist. And I’m so excited about this product. 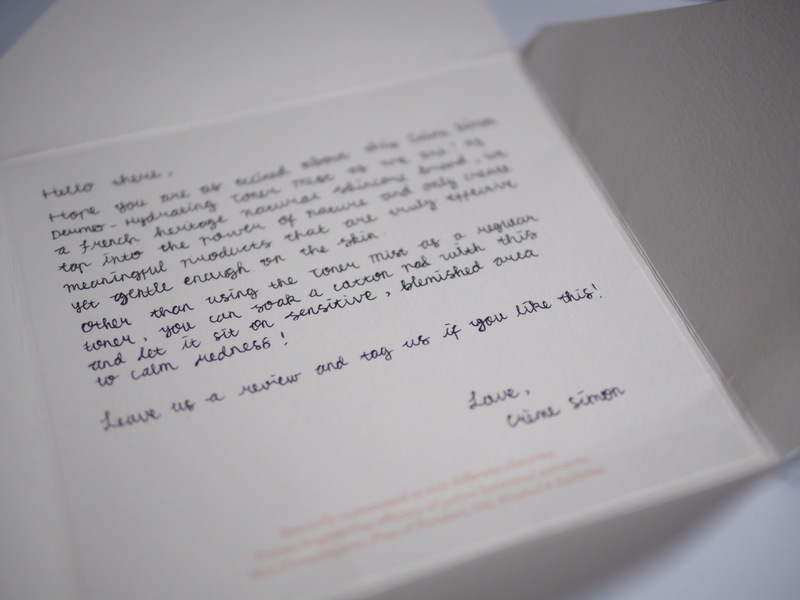 Thank you to Crème Simon and Clozette Indonesia for sending me this lavish product. Is a multitasking toner mist, to refresh, and hydrate our skin and also remove last remains of make up and impurities. It creates a subtle skin, so clean and dewy without any stickiness. It works as mist for face and hair, prepare the skin like a primer do and also sets make up as well. This toner mist is alcohol-free and paraben-free, so it doesn’t dry skin out. 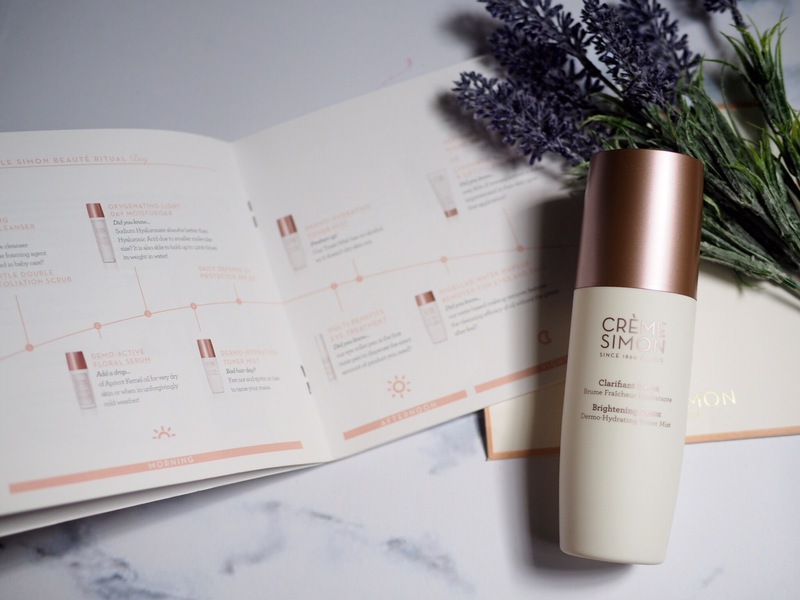 Every Crème Simon skincare is labeled with symbols suggesting which climate it is especially formulated for. And the Toner Mist is suitable for asian skin which has hot climate. Toner mist comes in a spray bottle, with elegant rose gold design. It’s so fancy! I can feel the Mademoiselle vibes every time using it. So, as a toner, spray on cotton pad to clean face and gentle wipe the skin. As a hydrating mist, spray liberally over face and neck and then patting it gently. As a makeup setting spray, mist face at arm’s length and let it dry. As a blemish treatment, spray and apply soaked cotton pad over blemish to calm redness. The toner mist is also very gentle to the skin coupled with the floral scent. I don’t bother with the smell. The first thing I really like about this toner mist is how the mist instantly preps your skin with no sticky residues. 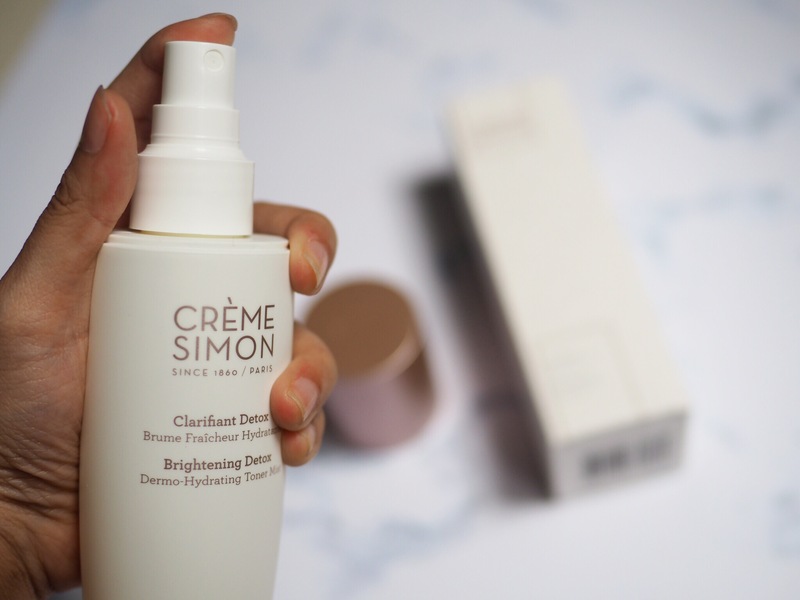 But what wins it for me, this Crème Simon mist has ability to multitask. I use it every morning as an instant skincare routine before applying make up, and after, as a setting spray. Also when I want to re-do my makeup, I just spray this all over and wipe off with a cotton pad for a fresh, clean face. Works very well as a refreshing mist especially when I live in such a dry country. Furthermore it make my skin so dewy. 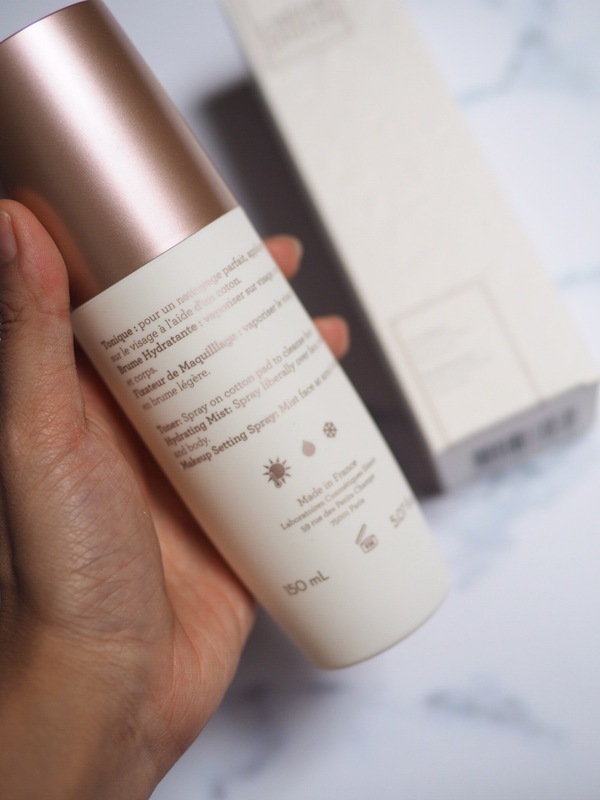 Containing the brand’s signature 100% natural active plant extracts, including Damask Rose, Jasmine, Iris, Patchouli, Neroli, Tonka Bean, and Vanilla Bourbon; this floral toner gives your skin enhanced luminosity and clarity. Oh don’t forget! It contains no alcohol, paragons, silicone sulfates and oil. It is so natural and safe. 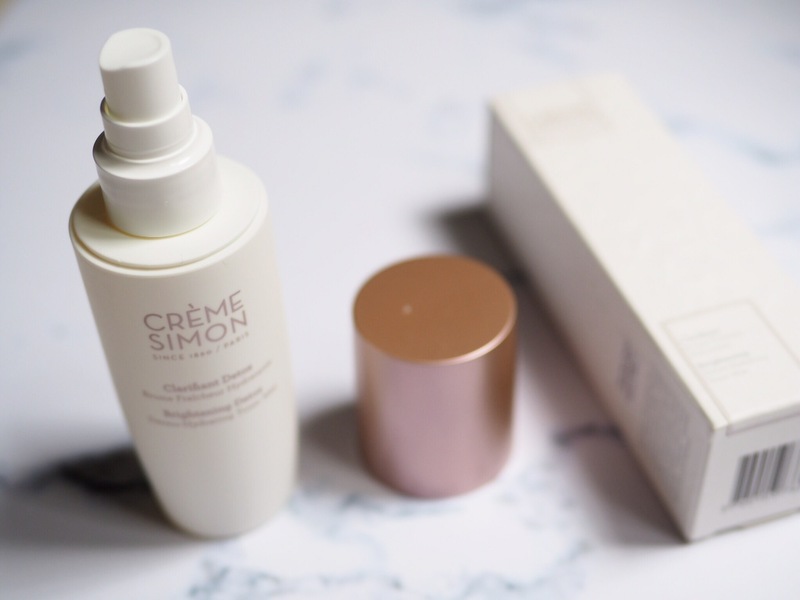 So, Have you ever tried one of Creme Simon products? Talk to me and let me know! Thanks for reading.